Do you need an affordable car service to get you from Benicia to the San Francisco International Airport, but have a flight so early the roosters are still asleep? With Bay Area Car Service’s Benicia car service to SFO, you can take a pre-flight nap while we drive. For an affordable, competitive price, Bay Area Car Service will transport you to and from SFO and Benica in one of our luxury cars, giving you last minute prep time before the flight or a chance to relax as we take you home. Our affordable car service will pick you up or drop you off any time day or night, seven days a week, with just 24 hours’ notice. Flying in to the Bay Area? If you book a reservation with Bay Area Car Service’s SFO Car Service, one of our chauffeurs will be waiting for you just outside baggage claim, ready to deliver you wherever you need to go in Benicia. Bay Area Car Service’s chauffeurs know the area and are trained professionals; they’ll let you sit back and enjoy the drive, adding to your vacation time or giving you more time to perfect your business presentation. Book a reservation with Bay Area Car Service’s Benicia to SFO car service and you won’t need to worry about arriving at the airport on time to get through security, making a mad dash to the gate while you hear your name and final boarding call. Meanwhile, your car will be safely parked in your garage, not in the long term parking lot. You won’t even have to worry about the costs associated with daily parking. Our chauffeurs will ensure you make it with plenty of time to spare, to grab a coffee or snack before your flight. When you use Benicia Car Service, you won’t have to wait on a taxi or a shuttle with other people, making a half-dozen stops across the Bay Area. Our friendly chauffeurs will pick you up where and when it is convenient for you, any time of the day, dropping you off directly at the terminal or your front door. Bay Area Car Service’s Benicia to SFO Car Service is a direct ride to the airport, and, best of all, private – just for you. You won’t be waiting for other customers, or dealing with a driver smashing your suitcase against other passengers’ luggage, trying to fit everything in the back of the van. Our Benicia Car Service chauffeurs will get you to the airport or your home, hotel or office safely and quickly. That’s our guarantee. We know the first and last steps of a journey can be nerve-wracking; let us take over the driving while you take a break. Our courteous chauffeurs will meet you at the terminal or your front door – or anywhere in between – and pack your bags. Before you know it, you’ll be at your destination. Our experienced drivers know where to pick you up, while your other seatmate can’t remember where he left his car in the long-term parking. 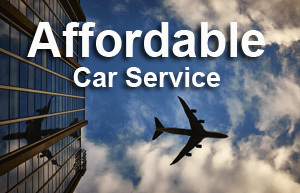 Benicia’s #1 Affordable Car Service! Using our affordable Benicia to SFO Car Service, you can rest assured that one of our knowledgeable chauffeurs is waiting for you with a smile when you land, ready get you to your home, conference, convention or vacation retreat with no hassle. Flying in to SFO and need transportation around the city for your vacation or multiple business meetings? Our Benicia to SFO Car Service provides hourly transportation, providing the luxury of being chauffeured at an affordable rate. Learn more about Benicia at the Official Benicia Website. Ready to book your Benicia car service to SFO? Call 1.800.380.9788 or schedule a reservation!